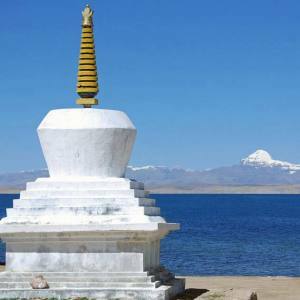 Lhasa to Everest Base Camp Budget Tibet Tour-08 Days is designed to let you feel the glory of nature, the spiritual destinations of Tibet that includes Lhasa sightseeing and a superb drive to Everest base camp of the Tibetan side. It is an incredible tour on which you can visit around the Buddhist heritage sites of Lhasa and a dramatic driving tour to enjoy the natural vistas of the top of the world. Nepal Kameleon Holidays take care for the trip arrangement for the tours in Tibet. The major enticing features of the Everest Base Camp Tibet Tour via Lhasa include the ancient and remarkable sites of the Lhasa city, that include Potala Palace, Norbulingka Palace, Tibet Museum, Sera Monastery, Drepung Monastery, Jokhang Temple and Barkhor Bazaar. Managing 2 days for Lhasa sightseeing, it covers the given site. 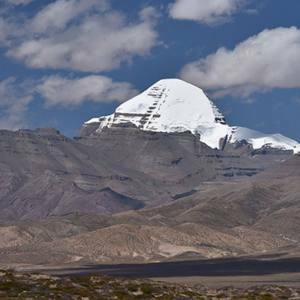 The next portion of the tour is to drive to the northern base camp of Mt. Everest. The sceneries of Mt. Everest and the eye-catching surroundings let you be spellbinding and you can have a photographic tour throughout the area. Then you suddenly cheer with wow, capturing the breathtaking the panoramas of the Himalayas. The culture of the Buddhism and heritage attractions further dazzles with the awesome sceneries. Tibet Everest base camp tour via Lhasa, both private and group joining trip, is perfectly organized by Nepal Kameleon Holidays. If you are planning for the Tibet holidays, feel free to contact us for the expert suggestions and find your suitable trips. Day 01: Arrival at Lhasa (3670m). Day 02: Lhasa Sightseeing. Visit the Potala Palace, Norbulingka Palace and Tibet Museum. Day 03: Lhasa Sightseeing: Visit the Sera Monastery, Drepung Monastery, Jokhang Temple and Barkhor Bazaar. Day 04: Lhasa – Gyantse (3950m) - Shigatse (3900m). Day 05: Xigatse – Ronbuk (4980m) 334km. Day 06: Ronbuk – Everest BC – Xigatse (3900m). Day 07: Shigatse to Lhasa (3600m) 351km. Day 08: Lhasa to Kathmandu or China. Day 02Lhasa Sightseeing. Visit the Potala Palace, Norbulingka Palace and Tibet Museum.Good morning in Lhasa. Welcome to this culturally loaded city with ancient heritages to see and explore. 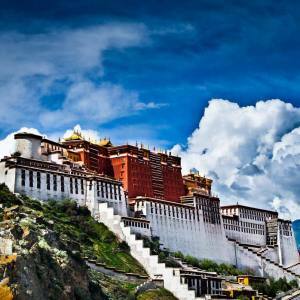 We visit the Potala palace, which was an abode of the Dalai Lama. There are two palaces- the red one and the white one. Tombs of eight past Dalai Lamas, Libraries and Tibetan Buddhist sculptures can be seen. Norbulingka palace is the largest man made garden in Tibet. It can be divided into three categories- the forest area, the palace area and the area in front of the palace. Then we go to visit the Tibet Museum. It is located at the southeast of the Lhasa city. Built in 1999, it is the official museum that brings the cultural history of Tibet. Back to the hotel and take a rest. Overnight at hotel. Day 03Lhasa Sightseeing: Visit the Sera Monastery, Drepung Monastery, Jokhang Temple and Barkhor Bazaar.Welcome for the second day visit to the Lhasa city. Go on exploring the cultural jewels. We visit the Sera Monastery, which is located just 2 km north of the Lhasa, below the Tatipu hill. It was built in 1914. It holds 19 hermitages and 4 nunneries. The Sera Bengqin Festival held in this monastery. Then we go to visit the Drepung monastery. It is located at Mt. Gambo Utse, which is on the western side of the Lhasa city, about 5 km away. The courtyards sites are always chosen near Zhacang and various trees are grown. It was wonderfully constructed in the form of caves and temples with white pagodas. Then we visit the Jokhang temple, located on the Barkhor Square in Lhasa. It is renowned for the Buddhist pilgrimage destination. The Barkhor is a public square, located in the Jokhang Temple in central Lhasa of Tibet. During the tour in Barkhor Street, you can see the real outlook of the ancient town. Then we back to the hotel and rest. Overnight at hotel. Day 04Lhasa – Gyantse (3950m) - Shigatse (3900m).Today, we leave the Lhasa city and take a drive through the Highway that goes through the high passes. Kora LA (5010 meters) and Kamba La (4794 meters) are some of them. 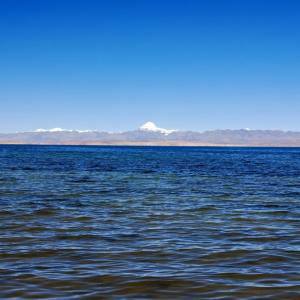 The exciting drive offers the panoramic views of the Tibetan valleys. On the way, we can visit the Gyantse Dzong, which was built in the 14th century. Overnight at Shigatse. Day 05Xigatse – Ronbuk (4980m) 334km.In the morning, we visit the Panchen Lama’s Tashilhumpo Monastery, which is one of the largest functioning monasteries in Tibet. Then we leave Xigatse and take a scenic drive to Ronbuk, exploring those scenic panoramas. We pass the small town of Lhatse and cross Gyatmso La (5200 meters). The nomadic lifestyles can be explored there. Driving through the Pang La is just breathtaking. We can see the magnificent sceneries of the Makalu to Shishapangma range. As we reach to the Ronbuk valley, the astonishing Mt. Everest can be seen. Overnight at Ronbuk. Day 06Ronbuk – Everest BC – Xigatse (3900m).We can visit the Everest base camp north side by a short bus ride, which is just 8 km. The magnificent Mt. Everest and its surrounding panoramas are exclusively brilliant. We can have impressive time at the base camp and drive down to Ronbuk. Then we drive further to Xigatse from the friendship highway, which is again impressive. Overnight at Xigatse. Day 07Shigatse to Lhasa (3600m) 351km.It’s time to return back. A long drive through the full speed highway, we drive back to the culturally loaded Lhasa city. Its tiresome drive. We take a rest once we reach there. Overnight at Lhasa. Day 08Lhasa to Kathmandu or China.Wow. The wonderful Lhasa to Everest Base Camp Budget Tibet Tour concludes finally. We get the flight from Lhasa to our further destination that can be China or Kathmandu. Thank you for travelling with Nepal Kameleon Holidays.